The TSI 7575 Q-Trak Indoor Air Quality Monitor provides quick, accurate information to assess key indoor air quality (IAQ) parameters. Providing a comfortable, safe and healthy indoor environment is an increasingly important concern. Good air quality increases concentration and productivity. It can also reduce lost days due to absence. 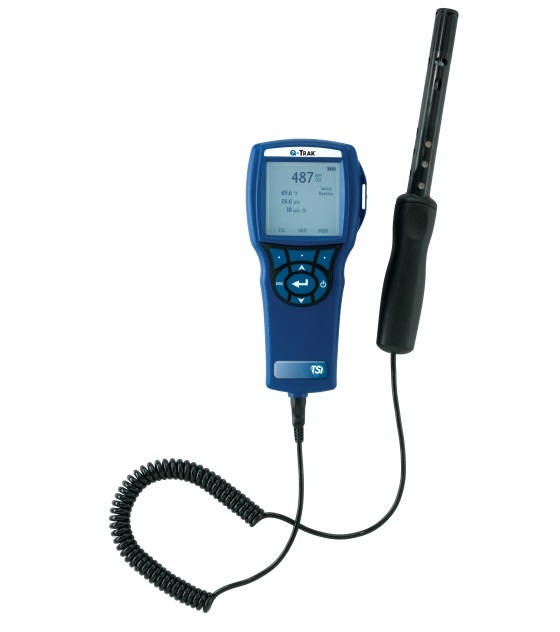 960	Air Velocity Probe, Straight, Velocity, Temp. 962	Air Velocity Probe, Articulated, Velocity, Temp. 995	Rotating Vane Probe, 100 mm, Velocity, Temp.